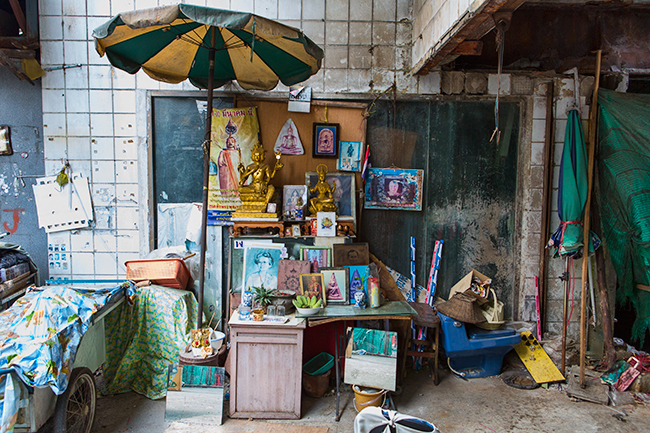 So you have been to Bangkok a few times and you think you did see it all. 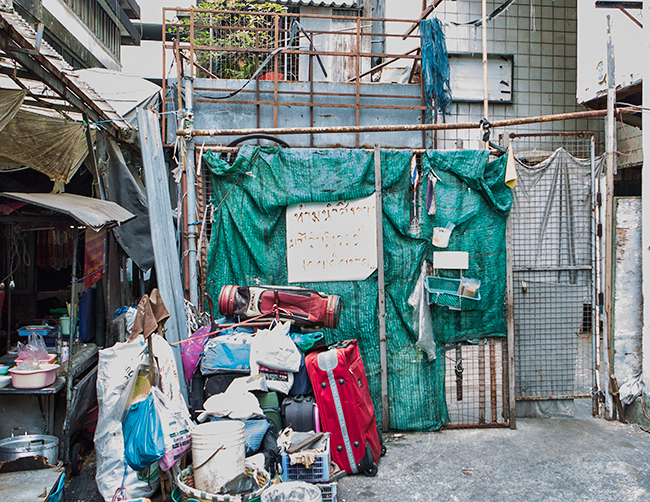 And than you find something that is so Bangkok you could not dream it up yourself. 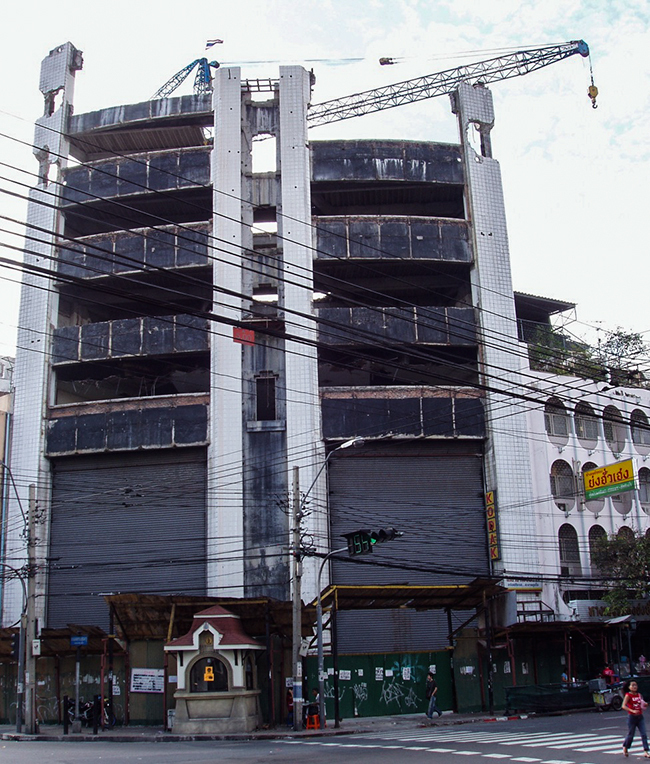 At the corner of the Bang Lam Phu Intersection only a few blocks away from Khao San Road are the ruins of the New World Shopping center. I really did like that place when it was still open. The food court was all the way up and had glass on all sides. So one could enjoy the view from up there. Turned out that they did build 7 more floors than they were allowed to build. So I guess one day they did not pay off the right guy or somebody new came into office or something like that and they had to close the mall. 99 a fire raged in it and later they did start to demolish it. No only the ruins are left on the intersection. Since there is no roof rain water did fill the basement. It is said that some neighbours put some fish into the water to eat the mosquito eggs. 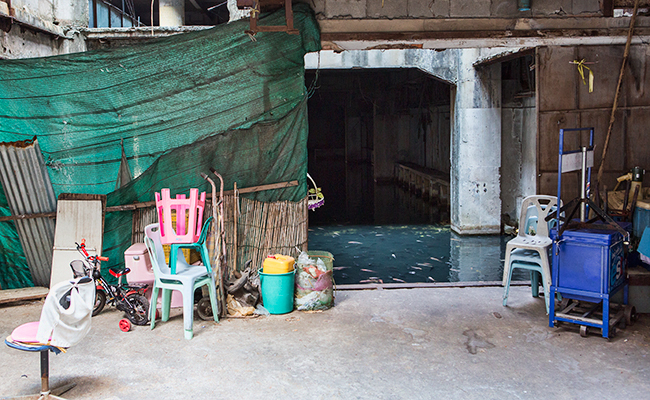 Now the flooded 500 square meter basement serves as a home for thousands of fish. Every year I think that it is strange that nobody does start a new building there but so far nobody did and you might be lucky as well and take a look at this unusual Bangkok attraction! If you are not familiar with the area you want to find the Bang Lam Phu Intersection which is very easy. There you see the rest of this building. This was in 2004 I think when they started to demolish the upper levels – now it is only a little bit higher than the shutters! This was once the main entrance to the New World Shopping Mall. 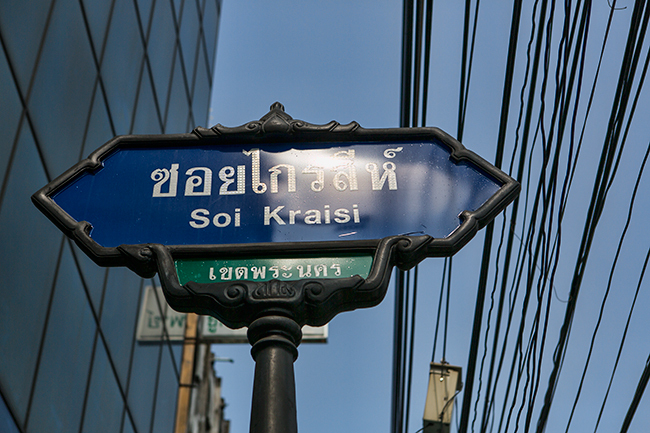 From this view you take a left and walk down Phra Sumen Road till you see that sign after a minute or so. 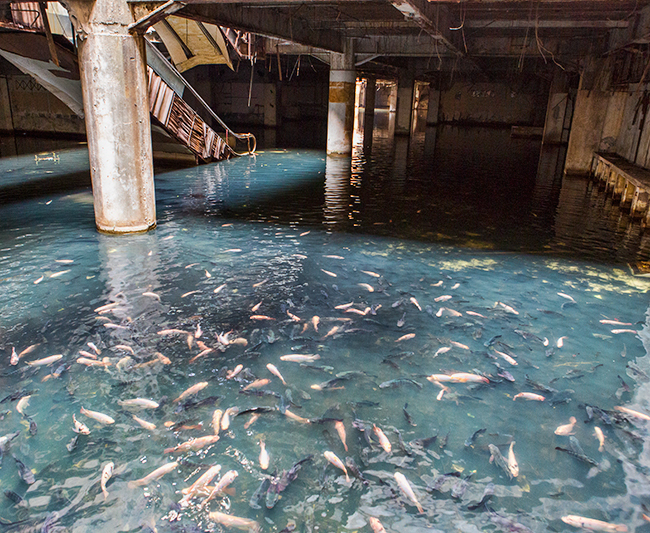 You can get some fish food right at the gate. What did you expect? Walk in and turn right! 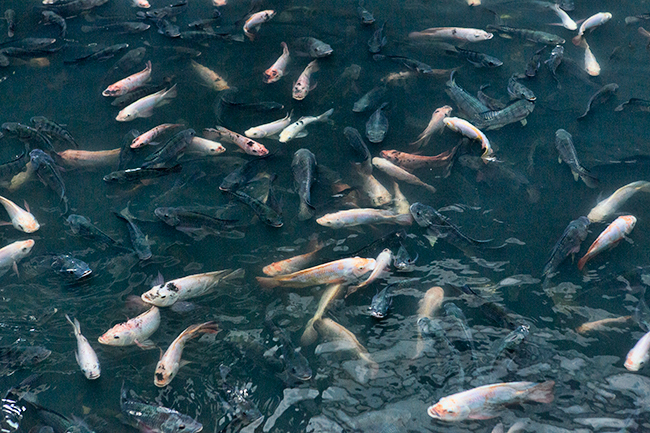 There you are – enjoy the fish while they are still there. Do not forget to close the gate when you walk in and out! After so many of you did ask me how i installed Facebook Paper on my iPhone i made this easy to follow guide for you. 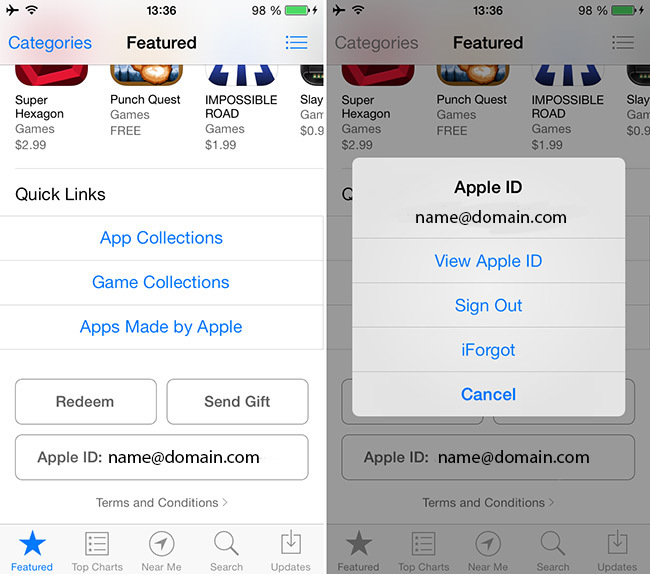 It works with every free app from the Apple App Store! 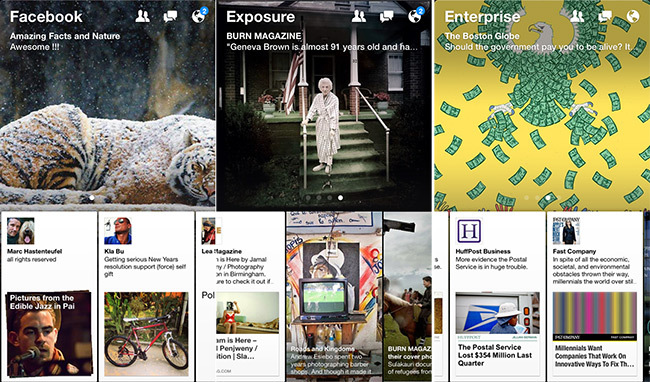 Facebook Paper is the new app from Facebook. I did play a bit with it and i am not sure if i will use it on the iPhone for my news feed – the screen is a bit to small but i think on an iPad it will be great! 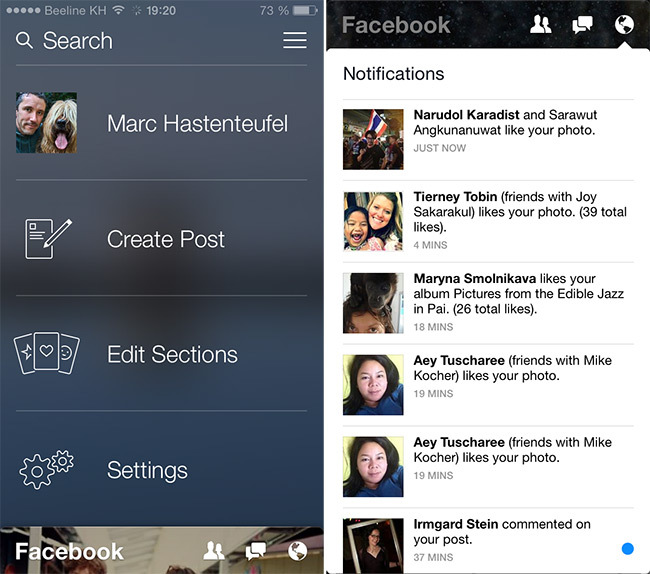 You can customize a few different feeds and swipe between them. Try it – you gonna like it! I like that – you see something that you want to read – you flip it open – swipe from the bottom up and read it. Later you swipe from the top down to close it again. Notification does like better if you ask me. 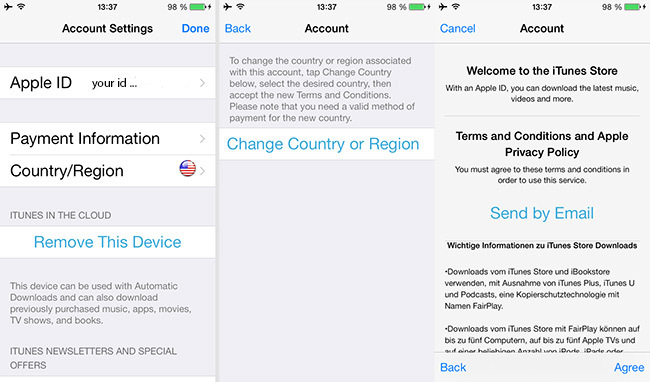 I took the pictures while changing back from the US store but you would now select the store flag and change it to the US store in the next screen that tells you “Select Country or Region. Than you have to “Agree” to the “Terms and Conditions”. 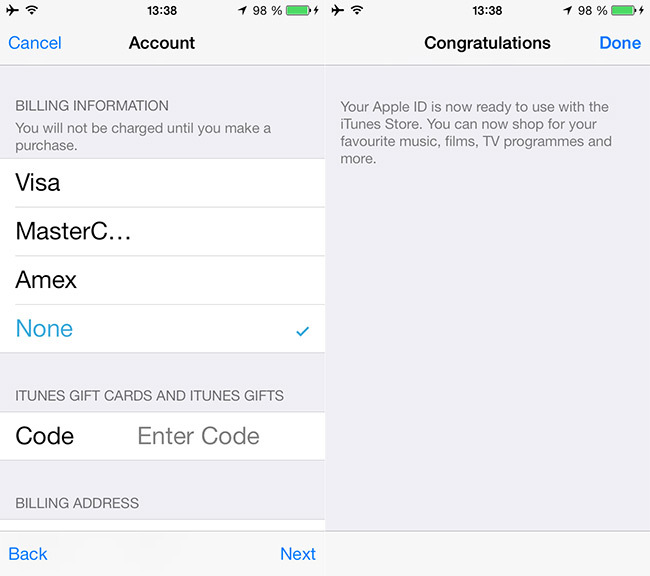 Make sure you have no credit card clicked – if you have you can try if it still works. Since they ask for the state in the US store you have to fill that field: “MA” will do. Also the phone number must be 123 1234567 like the phone numbers are in the US. After the next screen you are good to go! 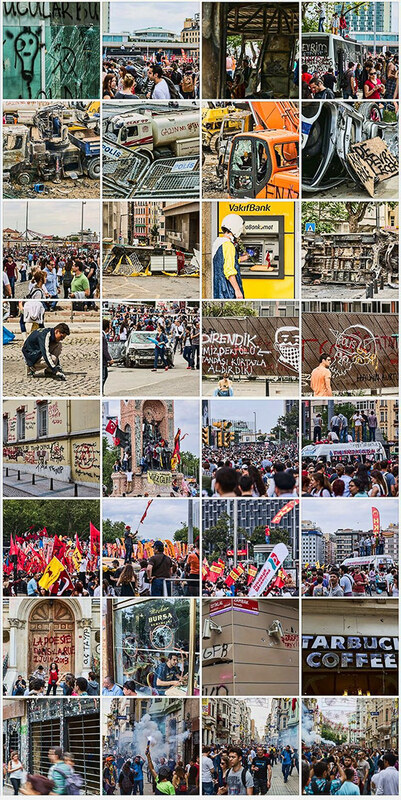 Went to Taksim today and walked a bit there – than down the road toward Tünel. People where still coming up the streets and walking towards the Square and park. I did take a few pictures! You do not have to sign up for it!